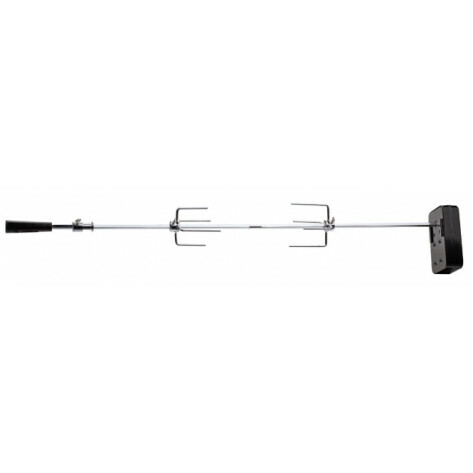 The Cadac Battery Driven Universal Rotisserie features a chrome-plated steel spike/fork and a heat-resistant handle. The motor is housed in a mild steel case and requires two size D batteries (not included) to operate the motor. Fits the CADAC 3 or 4 burner Meridian and Entertainer BBQ range.